Would you like a relaxed rural way of life in a Mediterranean climate, with a low cost of living and easy access from the UK? Then look no further than the region where I live, Puglia. Apulia, known in Italy as Puglia, pronounced “Poolia” is a long, stretched-out region with a coastline longer than that of any other region on mainland Italy. The capital city is Bari, but it is south of here that draws the most attention from house buyers and tourists. This is the part that makes up the heel of Italy’s boot. Apulian scenery varies from wheat fields and the Forest of Umbra in the north to the sandy beaches, coves and cliffs of Salento in the south, bathed in sunshine between the Adriatic and Ionian seas. The green heart is the Itria Valley (Valle d’Itria) which lies a few miles inland between the coastal cities of Bari and Bríndisi. Its rolling hills, olive groves, vineyards, drystone walls and white-washed towns are loved by both tourists and homebuyers from the UK. You can still find seaside village homes for under €100,000. Apulia has very good transport links, especially when you consider it is a rural area on a peninsula far from the wealthy cities of the North (much like Devon and Cornwall). Road and rail links are used by both tourists travelling south, and produce from the farms heading north. The sea ports of Bari and Bríndisi are also a gateway to Greece, Kefalonia, Albania, Montenegro, Croatia and the Ionian Islands. Greece lies just fifty miles across the sea, and indeed the far south of Salento often feels Greek. British travellers can choose between two airports, Bari and Bríndisi, both of which are served by low cost airlines from the UK. Ryanair flies Stansted and Manchester to Brindisi and Liverpool and Stansted to Bari. Easyjet flies Gatwick to Bríndisi and Bari. It is also possible to get internal flights from major Italian cities. Foreign tourists tend to head to the area between the two airports, but the best beaches are on the Ionian coast below Manduria. Italian tourists head even further south to the areas around Otranto and Gallipoli for their holiday fun. Summers are long and hot, and annual rainfall is one of the lowest in Italy. 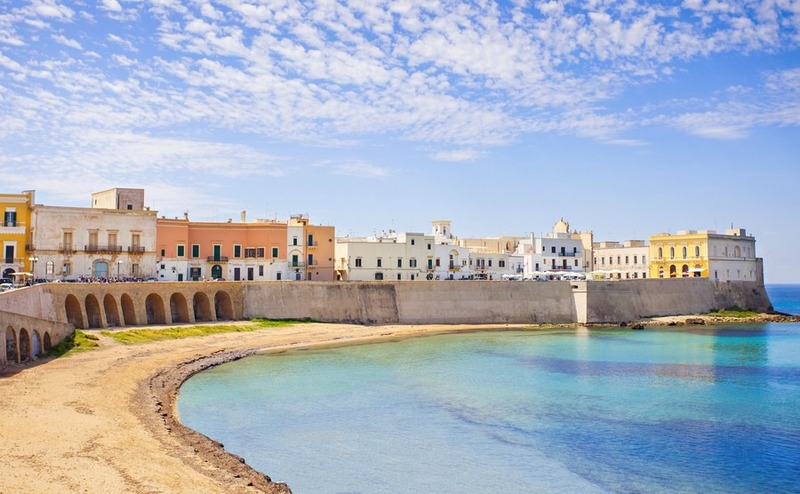 In the lower half of Puglia, known as Salento, you are never more than 35 minutes’ drive from the coast, and many Italians choose to live inland for most of the year, and take holidays at their second homes by the sea in July and August. Not all of these holiday homes were built with permission and have been passed down through the family. So, any foreign buyer should have the paperwork checked thoroughly. However, you can still find seaside village homes for under €100,000. Everyone from Greeks, Romans, Normans and Byzantines have left their mark on Puglia. Medieval watchtowers (Torre) that once looked out for invaders still dot the coastline and the masserie (fortified farm houses) were built with high courtyard walls and crenulations to protect the people and livestock. The procession of conquerors and cultures have left behind white-washed villages, frescos in caves and churches, elaborate church façades in the Baroque style, limestone streets, marble floors and star-vaulted ceilings made from the local sandstone, known as “Tufi”. These ceilings can be seen in Palazzo houses in the towns as well as in country masserie. A town palazzo (house of an important family or noble) often has frescos on the ceilings and marble, tiled or cocciopesto floors. Coccipesto is a flooring material made primarily out of lime and crushed terracotta and sometimes fragments of marble. The technique dates back to the Phoenicians. The grand entrances have heavy wooden doors and carved stone surrounds that lead to stone staircases. An example is this palazzo for sale in Tuglie, Lecce for just €300,000. Puglian towns and villages have a strong sense of community and families try to pass down traditions, recipes, businesses, land and property through the family. However, some of the younger generation do decide to go away to university and seek careers elsewhere. When their elderly relatives find they can no longer manage the olive groves alone they consider selling countryside buildings, such as trulli and lamie, often complete with olive groves. Trulli are the buildings with conical roofs built using a dry stone technic. The biggest concentration of trulli are in Alberobello which is a Unesco World Heritage site for that very reason. Lamie are more cube shaped and sometimes have barrel or star vaulted ceilings. It is still possible to buy trulli and lamie, needing restoration, for under €50,000, and they can be made into quaint summer homes. The best set up is a villa and trulli combined to give a larger living space. There are very skilled builders in Puglia that can still build star-vaulted ceilings and coned-shaped trulli roofs. Trulli and Lamie, needing restoration, for under €50,000. You will also see large empty masserie in the countryside. Often they are not for sale, because the owner has died without an heir and it has been transferred to the state, who are not permitted to sell it on for several years. Occasionally though, masserie do come up for sale, and they convert well into stunning hotels and luxury homes. Here is an example of one for sale near Lecce. Features to look out for are the star-vaulted ceilings, stone fireplaces, limestone paving and large courtyards. The original stone paving is valuable, so sometimes they have already been lifted and sold. We re-laid one in our own courtyard and it is a like a heavy 3D puzzle, as the stones vary in size and depth by as much as 25cm. 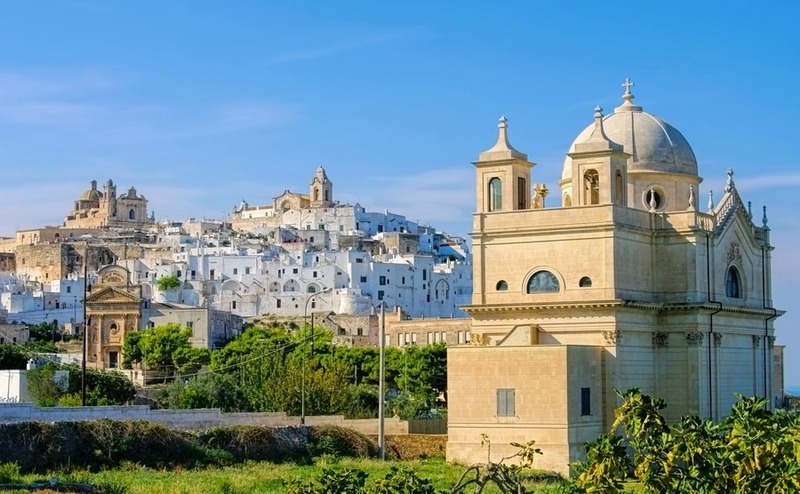 Ostuni, “The white City” is probably the most recognisable town to foreign buyers. This white-washed town crowns a hill looking across olive groves and the sea beyond. It is very popular with summer tourists and still has well priced townhouses and apartments for sale. €150,000 will buy you a nice town house or country villa, but something small and needing renovation can cost as little as €30,000. Here are some properties for sale around Ostuni. Other towns that British buyers tend to be guided towards, are Carovigno, San Vito dei Normanni and Ceglie Messapica, and the British expat community has grown in these areas, as well as the number of second homes. 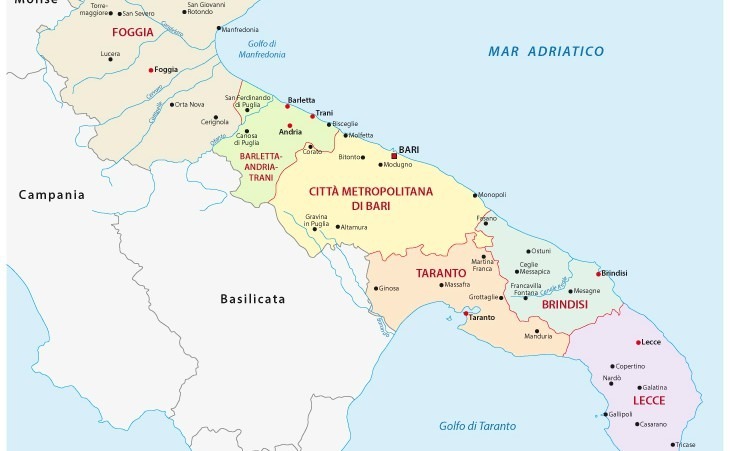 Personally, I would suggest looking a little further out to find the towns where the Italians choose to live, such as Cisternino, Locorotondo, Martina Franca, Francavilla Fontana, Oria, Fasano, Monopoli, Manduria and Lecce. Lower Salento is a newer and evolving market, with a mixture of fairly pricy resorts and less expensive quiet villages and country homes. If you are looking for luxury and amazing sea views near to the bustling resort of Gallipoli, this is what €680,000 will buy you. If you are ready to buy in Italy in the next three months and would like an introduction to a trusted agent, lawyer or currency specialist, call our friendly Italy Resource Team on 020 7898 0549 or email info@propertyguides.com. The buying trend seems to be moving away from trulli towards Puglia’s beautiful and stately old buildings that are big enough to use as luxury homes, B&Bs or holiday rentals. Small villas are also popular with retirees. 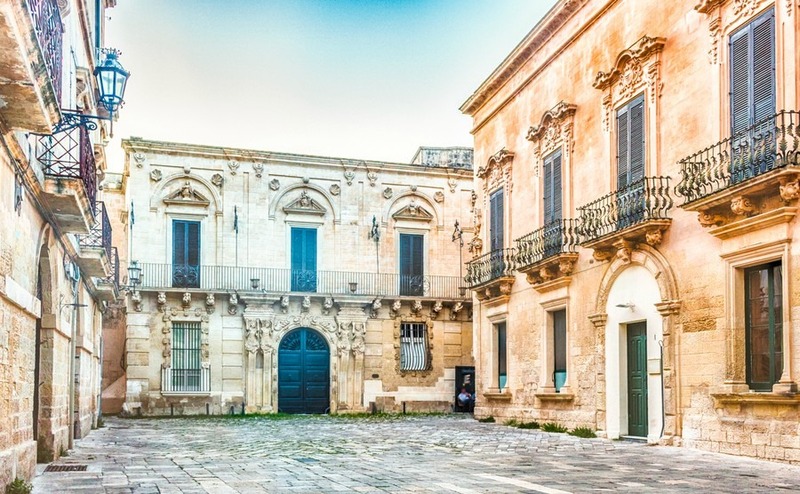 There is such a wide selection of types of property on offer and foreign buyers are only just beginning to venture into the lower Salento, which the Italians seem to have been keeping a secret. Lecce is the central town and has been nicknamed “Florence of the south” due to the beautiful stone carved facades of its churches and palazzos. Outside of the main towns of Otranto, Gallipoli and Lecce there are some real bargains to be found in the smaller villages inland and along the coast. This three-bedroom property is typical of the style of villa you can find in coastal villages and is ready to move in fully furnished for just €100,000. For beautiful sandy beaches look along the coast around Porto Cesario. For more about the houses of the Itria Valley see my previous article Houses of the Itria valley, Apulia, Italy.